We could go deeper into the subject of compassion. Animals have feelings like us, and plants are also sensitive beings. In a shared video, a woman recorded a sunflower ‘singing.’ It is amazingly beautiful. Even though I respected plants before, watching the video changed my attitude to one of more heartfelt appreciation. It even softened the tone of my voice as I talk with plants in the garden. The video is posted on my FB timeline and could be replayed periodically as a reminder in this hardened world. It is very hard to hear of hardened attitudes towards animals — the U.S. president allowing elephant parts to be sold, the slaughter of whales and dolphins in Japan, the mechanical, emotionally removed treatment by humans of chickens in a production facility, the general carelessness, indifference or arrogance towards other species. To me, one way to go deeper (which may be too abstract for most) is to recognize that we are all clouds of electromagnetism. That puts us all on an equal basis, which is aligned with actuality. It is said we are all made of God material or star stuff, but those terms don’t reach me. Lately I have been speaking to plants and animals as mage — magnetic electron. Mage mantis, mage cat, mage flower. That has helped me feel at-oneness with the other. On the level of elementary particles and frequencies, I see no hierarchy. This conceptual vision seems too removed to reach the masses in the heart, but it is the most level ground I know. It is also substantiated by scientific method. To bring humankind out of the dark ignorance of its past, each conscious individual has a calling to bear the light towards a more compassionate treatment of all living things. 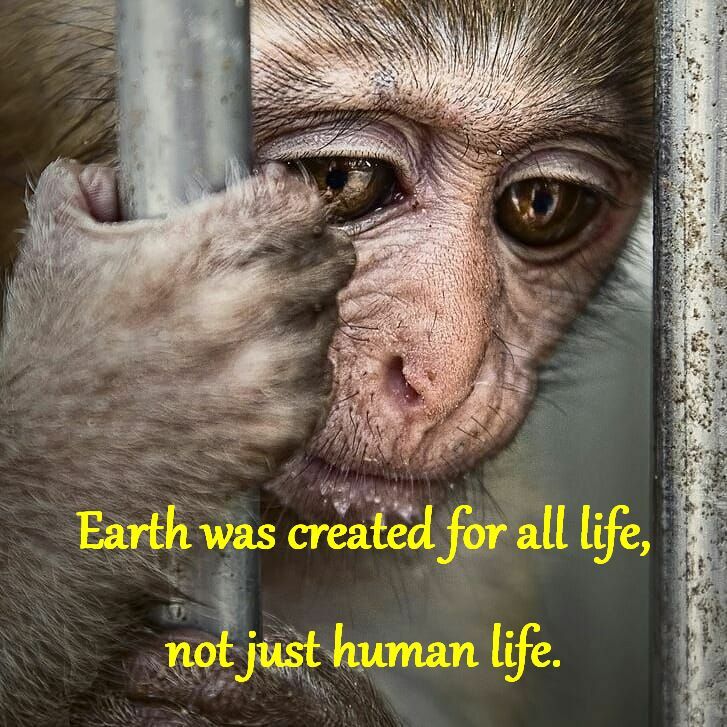 Animals and plants are sensitive beings and it is our responsibility and honor to do all we can individually and collectively to help the whole world recognize it. Conceptually the non-specific void is a state of consciousness beyond and before light and dark. It is beyond pain and suffering; beyond joy, compassion and bliss; before motion and stillness. The non-specific void encompasses all, but without differentiation. In the Void, no thing is distinguished from another. This Void is the state of ‘is-ness’ beyond spirituality, the sacred and divine. From a human perspective, it is the highest state of consciousness. The Void cannot be spirituality, the sacred or divine, because those terms differentiate and the Void is before differentiation. To live as a human in the world, some degree of specificity is still required. The more engaged one is in society, culture, institutions and tradition, generally the further away they are in awareness from the highest state of consciousness. There are many states or frequencies in-between pure is-ness and the furthest separation from it. For example, a person can be engaged in the business or corporate world and still live from the highest human values of compassion and service. Compassion and service, though seeming to tend towards the highest good, quickly become muddled with lower frequencies of separation including ego and mixed motives. So there is a tension in specificity between the so-called higher and lower frequencies. This tension creates the balance that holds together the differentiated whole. Imbalance towards the lower, however, damages the fields and disrupts connectivity leading to ineffectiveness and disarray. Fighting for the light generates division in human minds. When mass consciousness further divides and separates from the Void, humans and the whole planet experience a greater degree of injustice, conflict and suffering. Those whose hearts long for the highest state of consciousness reach beyond all that is taught, beyond all words and actions, to the non-specific Void, the unnameable Origin of all origins which may seem far away but is always in our midst. Holding the highest state of consciousness possible through all the challenges of daily life allows natural flow, balance and harmony to manifest. The Mage is held in place by the tension of polarized charges. Like electromagnetism, it is a spectrum of frequencies. The awareness of the Mage, that all objects and creatures are clouds of electrons, leads to authentic compassion and service and can bridge between humankind and the Beyond.